Las Vegas with its bright lights, endless card games, enticing slot machines, extravagant buffets, and amazing acrobatics have us islanders in a gripping obsession. At any given time almost every one who lives on our islands knows someone who is planning, going, or coming back from a trip to Vegas. It is because of this enthrallment we have with the “ninth” island that we plan a trip to Las Vegas every year for our members. This year’s trip will happen from November 2 through November 6. We will be staying downtown (of course) at the California hotel. Members who booked their trip under our special rate of $699 plus tax with Vacations Hawaii will join the HiTel team for a Vegas adventure packed with events. We’ve planned a tailgate party, slot tournament, all day shopping to the all the best outlets, and much more! Sound like something you’d like to do? If you haven’t heard (take a look at page five of July’s newsletter) we gave our members a chance to win a trip for two for this awesome trip! 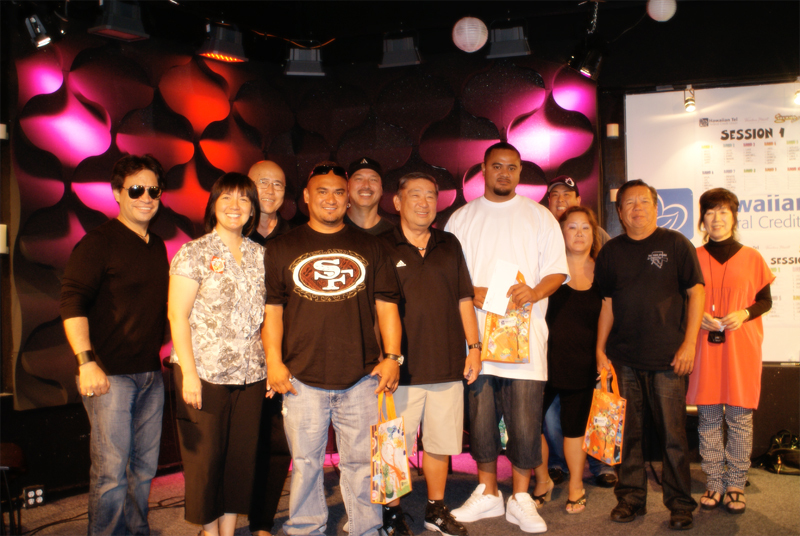 On Saturday, October 6, 2012, 25 lucky finalists who entered our sweepstakes faced-off at our annual Blackjack Tournament! The finalists were signed-up into several rounds of 5-6 people. 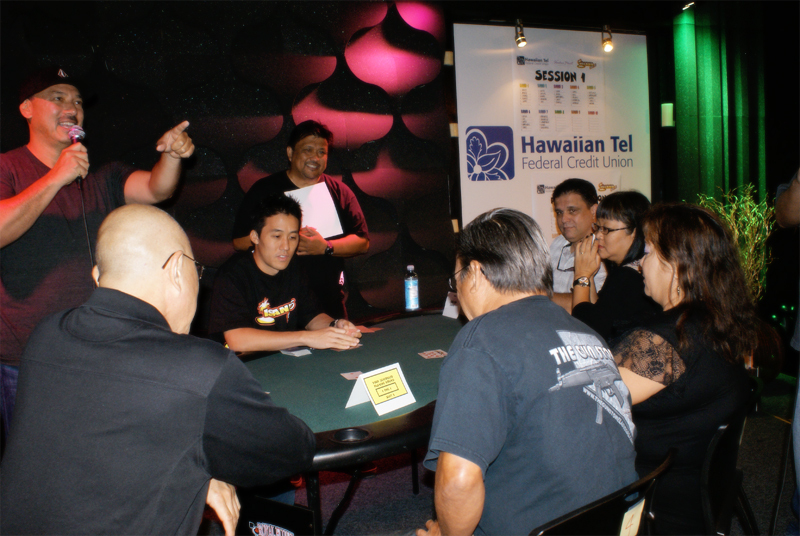 The players in each round played until two players collected three chips. These two players advanced on to the finals! The players who did not get three chips had their names entered in a raffle drawing for a surprise prize!. Once all the first round players were finished, we went on to the Finals. In the final rounds, the first person to in each round to collect three chips won the free trip to Vegas!! BUT- that isn’t it! As mentioned earlier, all the players from the first rounds who did not advance to the finals had their names put into a raffle to win a surprise prize! Rory Wild had his niece pull the lucky person to win this prize and the winner was… SETSUKO! 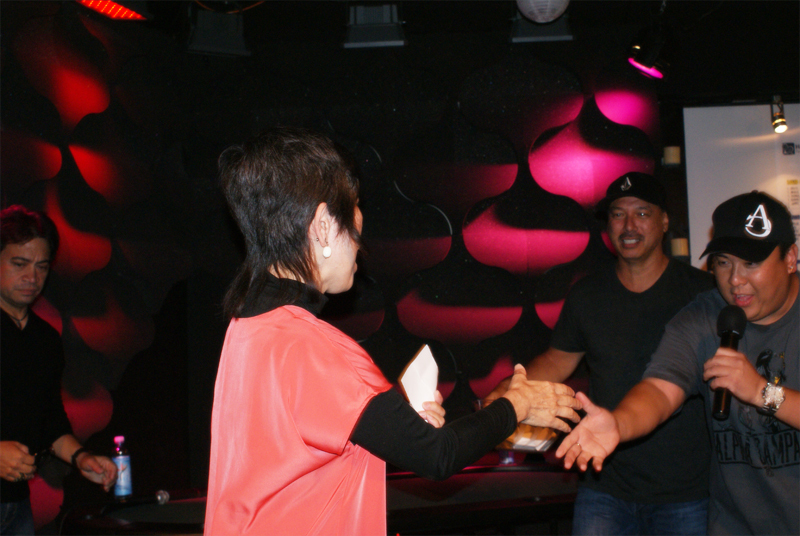 We awarded Setsuko with a trip to join us in Las Vegas too! 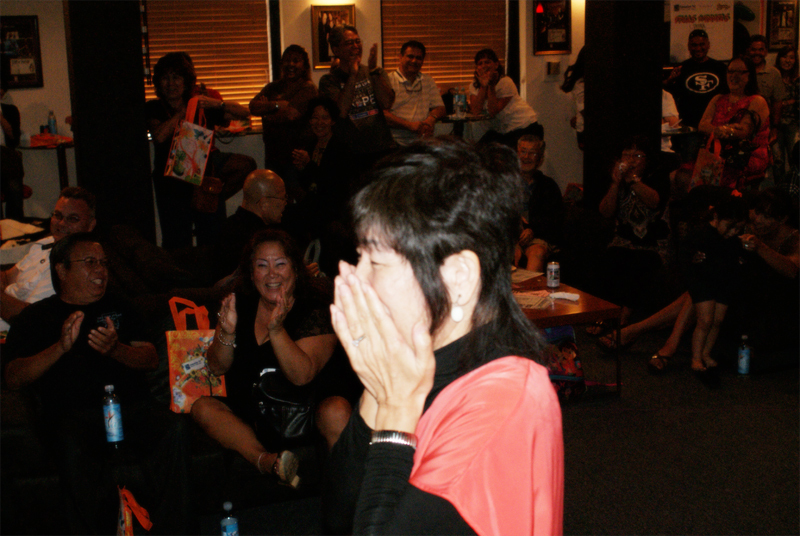 Setsuko was so shocked when she won! Congratulations to our winners: Debra, Robert, Gene, Leith, Nate, Dallas and Setsuko! 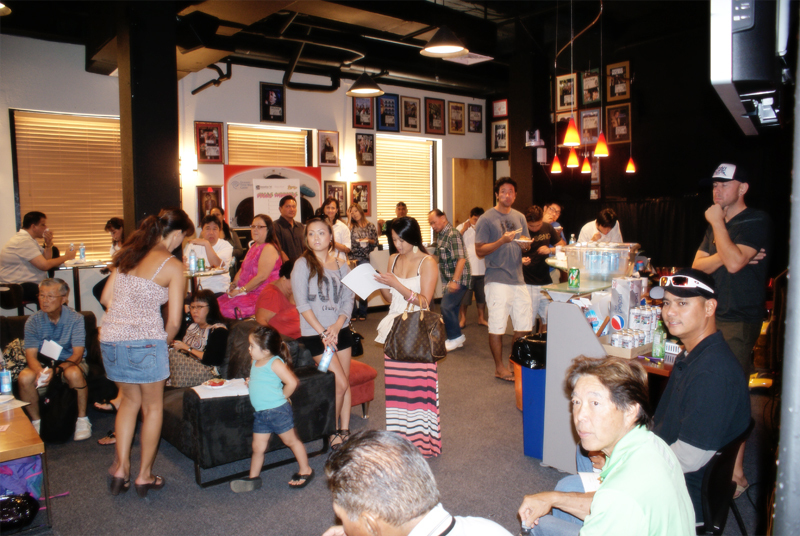 One of the best things about Las Vegas is that the city appeals to people of all ages, it doesn’t matter if you’re 21 or 80 Las Vegas has something to offer to EVERYONE… just like Hawaiian Tel Federal Credit Union! 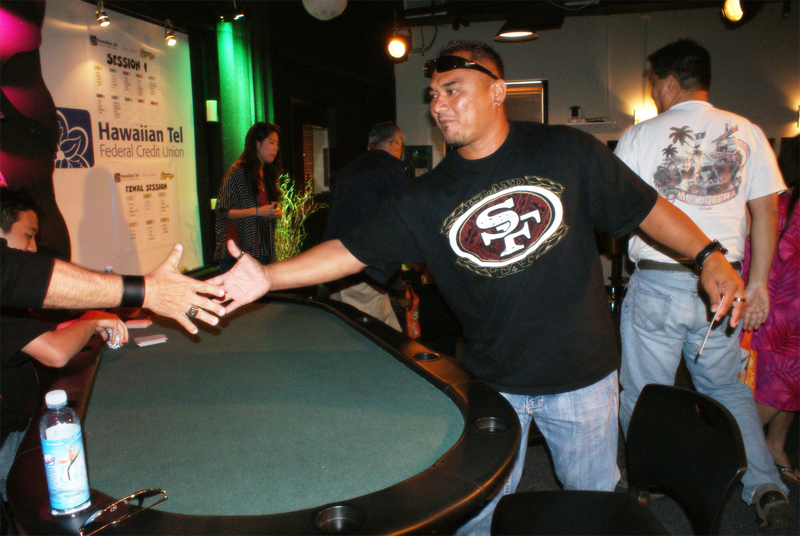 This entry was posted in CU News and tagged blackjack, californiahotel, clearchannel, community, entertainment, events, free, gaming, gregghammer, hawaii, honolulu, island, island985, kreyzoshiro, lasvegas, oahu, radio, rorywild, tournament, trip, vacation by Hawaiian Financial Federal Credit Union. Bookmark the permalink.